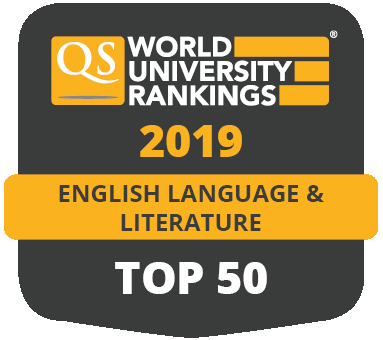 This exciting and varied degree allows you to explore a huge range of literature in English from prose to potery and drama, across different literary periods, whilst gaining an understanding of British, European and world history in the context of a variety of periods and themes. Core modules will provide you with the foundations for studying both English and History at an advanced level and ensure you have a well-rounded subject knowledge. You'll also be able to chose from a wide variety of optional modules, giving you chance to tailor your course to your own interests. You could specialise in a range of literature from Old English and the Arthurian legends to crime fiction and post-Apartheid narratives. Our expertise in History range from theology in medieval France to 20th century American Business History allowing you to focus on periods and themes which interest you. Core modules in your first year will introduce you to texts across poetry, prose and drama and allow you to develop important skills such as historical methods and research. You’ll also have the chance to choose from discovery modules across a wide variety of subjects – an opportunity open to you throughout your degree. You’ll build on this knowledge over the next two years. You’ll choose from core English modules spanning from the medieval period to today, and study at least one history module in the modern period and one from earlier times. You’ll then pursue your interests across optional modules in both subjects, from the Crusades to twentieth-century Africa and from folklore to disability and sexuality in contemporary literature. Throughout the course, you’ll develop valuable interpretative and analytical skills, as well as becoming a confident researcher. 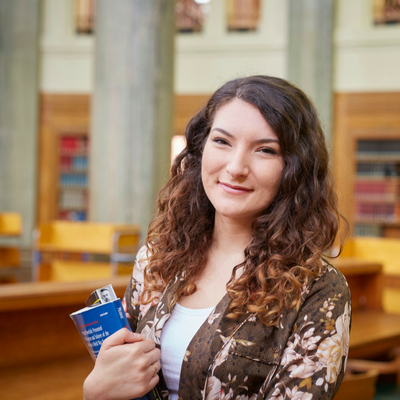 You’ll demonstrate these qualities in your final year, when you undertake an independently researched dissertation on a topic of your choice. Our tutors in the Schools of English and History are leading researchers, and their teaching is informed by their work. We use a variety of teaching methods so you can benefit from their expertise, including lectures, seminars and tutorials. However, we also put a lot of emphasis on independent study, since this allows you to develop your research and critical skills. We use different means of assessment to develop your skills, including exams and essays. Extended projects may also be assessed components in some modules. We offer plenty of support, including the chance to attend extra classes on issues such as exam technique, public speaking and structuring an essay if you need them. A-level: AAA including A in History and A in English (Literature, Language or Language and Literature). Where an applicant is taking the EPQ in a relevant subject this might be considered alongside other Level 3 qualifications and may attract an alternative offer in addition to the standard offer. If you are taking A Levels, this would be AAB at A Level including A in English and History and grade A in the EPQ. Pass diploma with 60 credits overall, including at least 45 credits at level 3, of which 30 credits must be at Distinction and 15 credits at Merit or higher. An interview and a piece of written work may also be required. The Access course must include English modules. This course has additional subject specific requirements for History. Contact the Admissions Office for more information. Please contact Admissions Office for more information. Typical Access to Leeds offer: ABB including A in English and B in History at A Level and pass Access to Leeds. Your degree in English and History will give you transferable skills that can help you succeed in a wide range of careers. You’ll have strong research skills and be confident working independently or within a team. You’ll be able to analyse information from a number of different sources and form your own conclusions about them. Then you’ll be able to communicate and present those views clearly, both verbally and in writing. You’ll also have the time management and organisational skills needed to manage two demanding subjects. We’re committed to helping you achieve your career ambitions. You could boost your CV with one of the internship opportunities offered by the School of History and the School of English each year, become a peer mentor or take any of our employability-related modules during your degree.